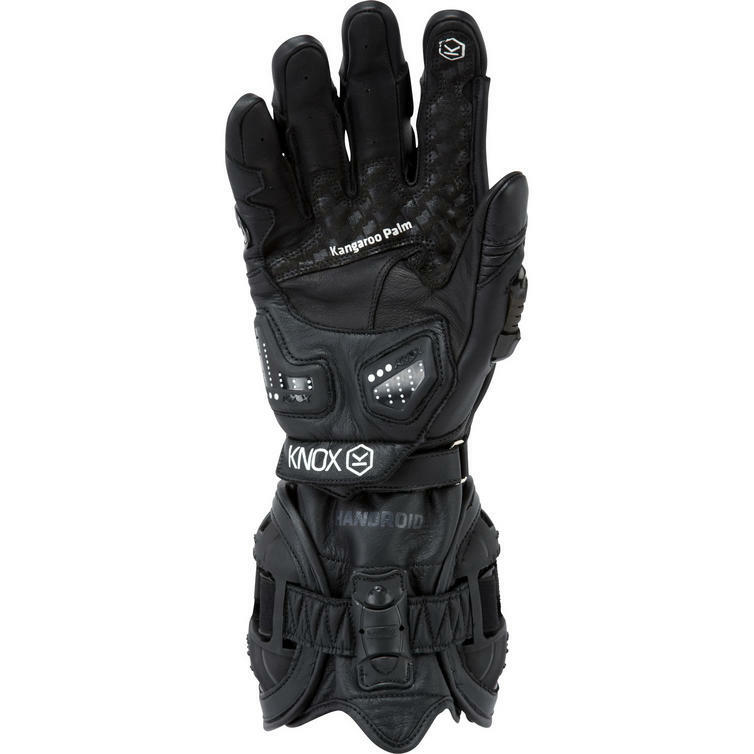 The Knox Handroid MkIII Leather Motorcycle Gloves are part of the latest Knox collection. 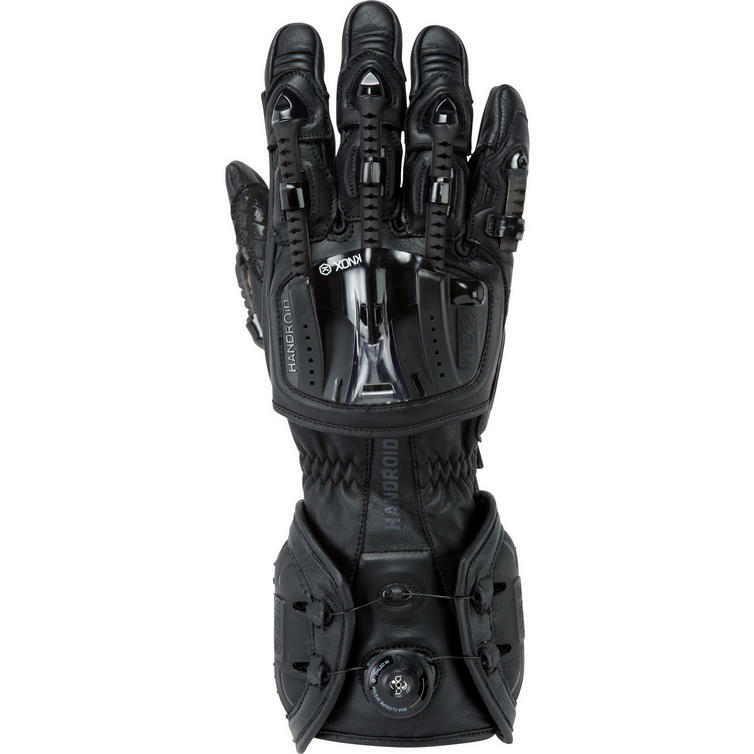 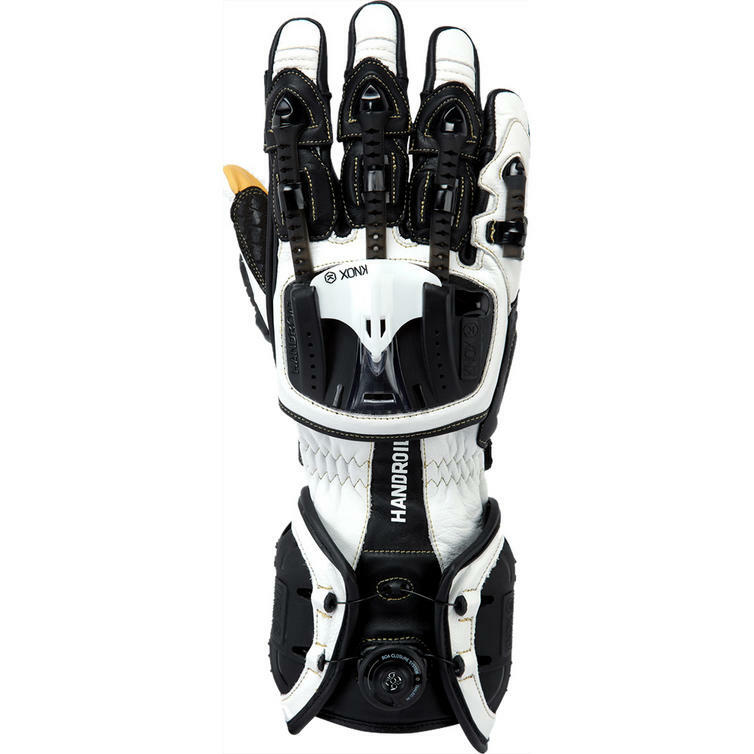 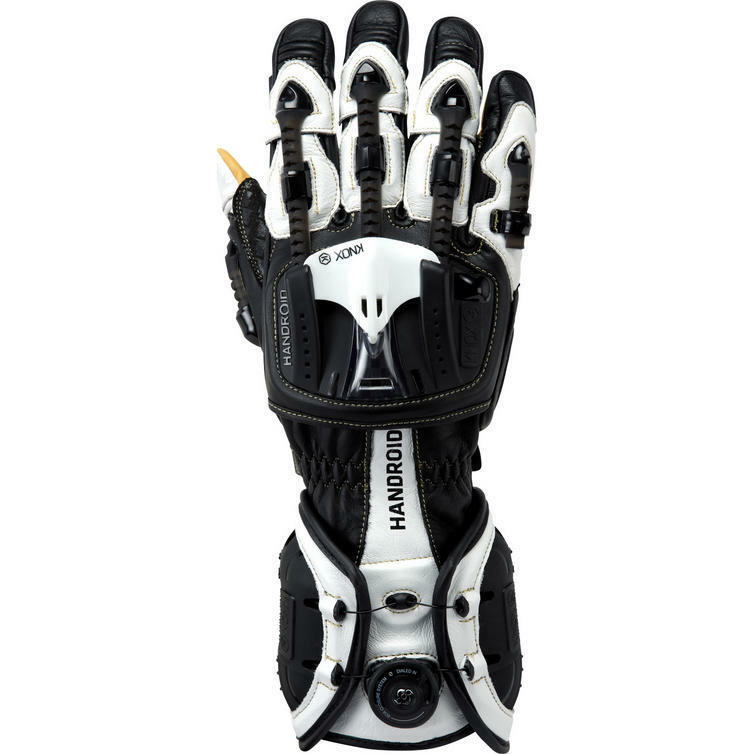 The Knox Handroid Glove is a multi-award winning glove with a striking, unique design and superior high quality. 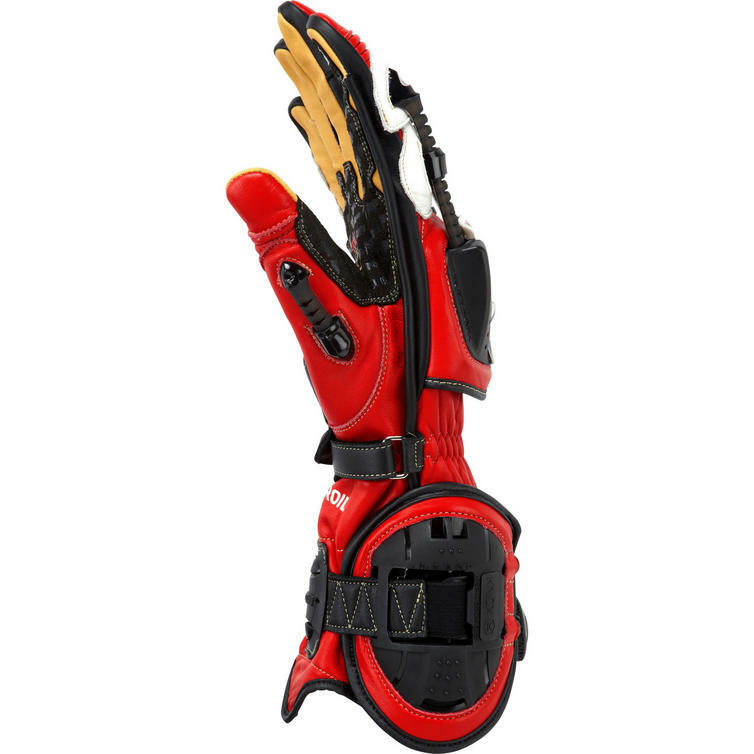 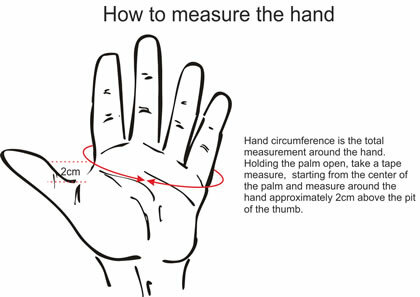 It is a fully CE certified, sports glove certified to European CE Standard EN 13594 2012. 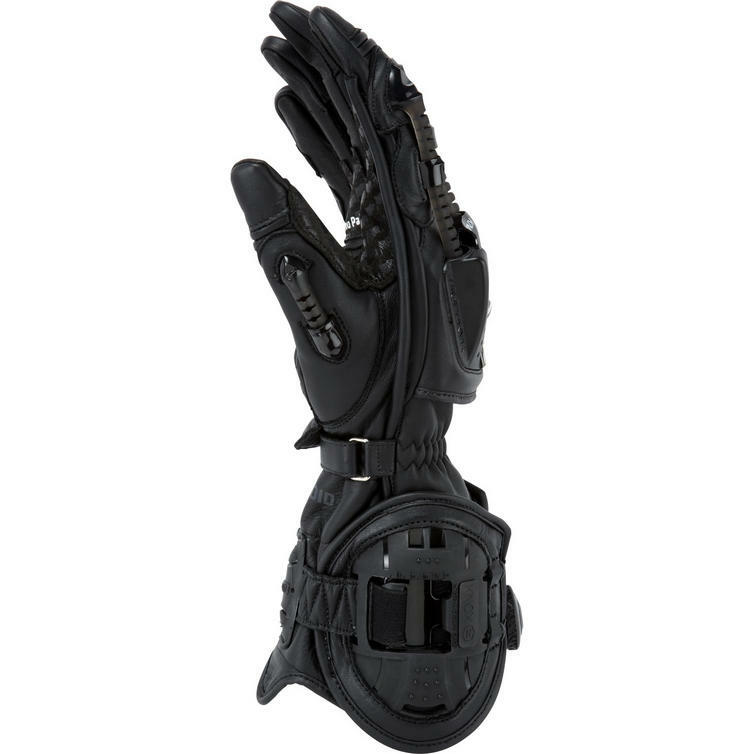 On the palm the Dual Compound Scaphoid Protection System (Patent No EP1594378) eliminates the grab effect that occurs when a leather palm makes contact with the road, reducing the risk of hyper extension which can be the cause of a broken scaphoid this is enhanced by additional sliding systems on all sides which ensure that in the event of an accident the majority of contact with the ground are sliders and not leather. 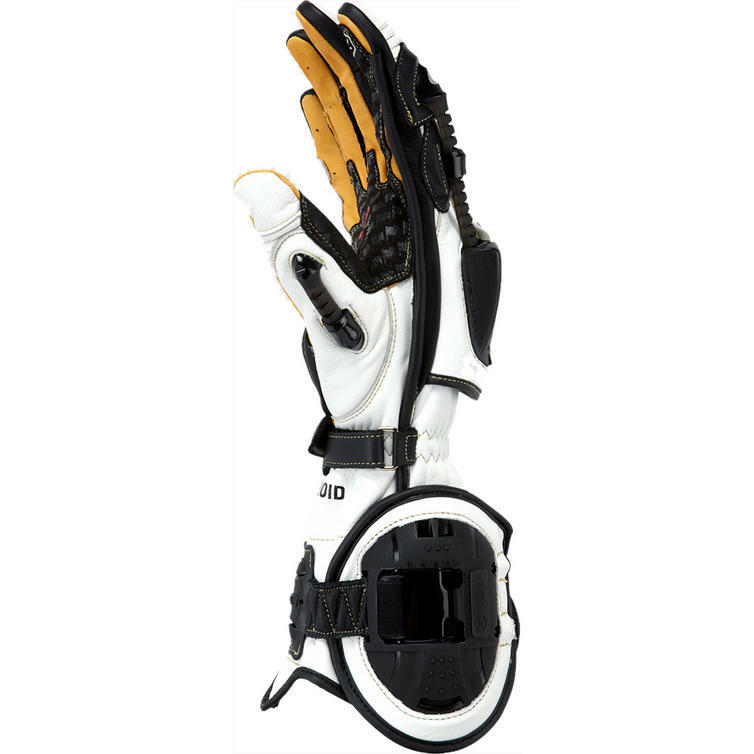 An additional inner cuff slider works to support and enhance the SPS sliding effect. 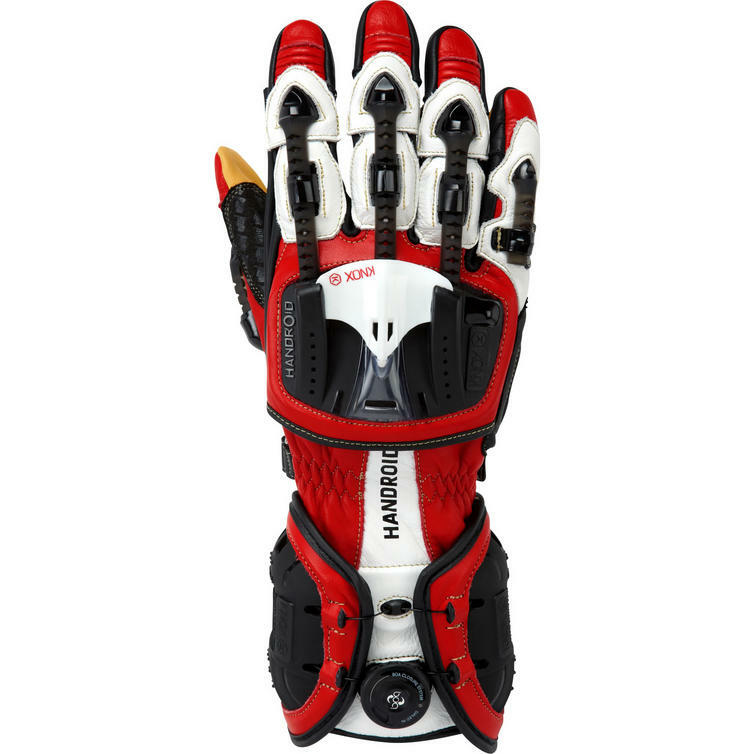 Super strong and tear resistant Kangaroo leather covers the inside palm and fingers. 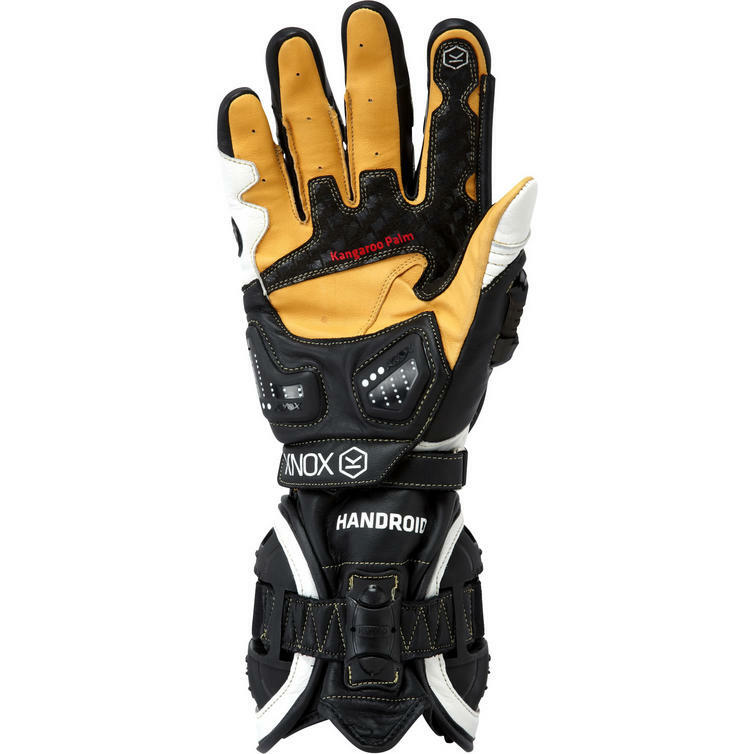 View all Knox Motorbike Gloves. 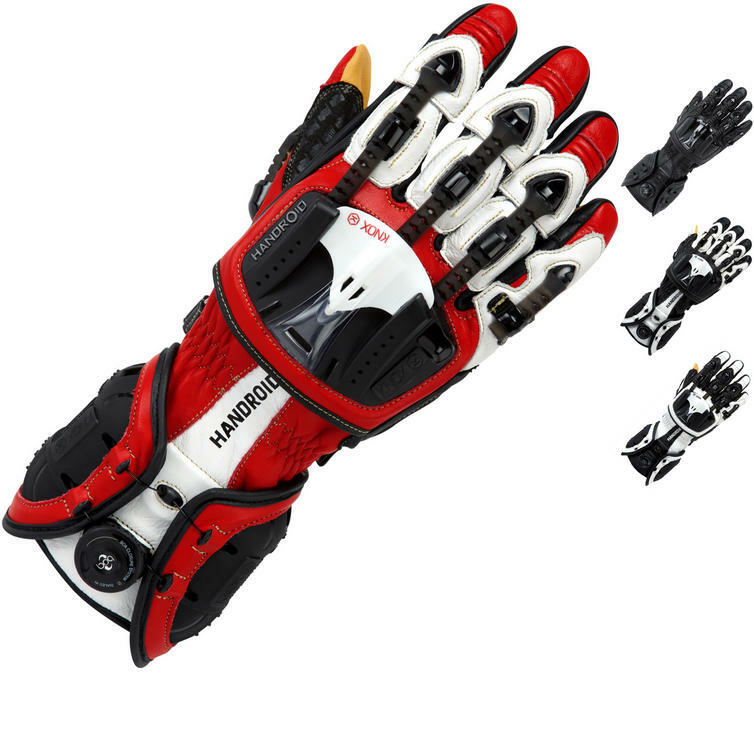 View all Motorbike Racing Gloves.